In the highly charged emotional environment of the 2/13 (February, 2013) Projonmo Movement, making a dispassionate analysis of the undercurrent of political dynamics is rather challenging without being labeled as a partisan of some sort. But that in itself makes it even more imperative that the analysis is done. The purpose of this commentary is to explore how the two major parties, AL and BNP, are paying dearly, in terms of concessions to the extremists, for their electoral wins. The situation for BNP is truly dire. What years of complacency with the non-secular agenda of the country’s religious right organisations could not do has now been done by a few days of the 2/13 movement. People across the land have made it abundantly known that they disapprove of the political ideology of religion-based governance, especially when it is promoted by parties that had opposed the very creation of the country and are still being led by war criminals. BNP was established by a freedom fighter and catered to the post-75 need and desire of the nation for a strong and viable right of centre political alternative as the left of centre AL could not rebuild the nation’s war-ravaged and famine-stricken economy fast enough along the pro-socialist route. AL also showed at that time an unpalatable socialist/communist tendency of limiting freedom of expression, and an increased appetite for single party dominance, which were a gross violation of the driving ideal of the bloody Liberation War, which was freedom in all senses of the term. Once the excitement of victory abated and people had a chance to re-assess the internal and external circumstances, it became apparent that AL had led the country too far along the then Russia-India axis of socialist and ultra-secular influence. Capitalising on this shift toward greater religious, economic and political sovereignty of the young nation, BNP (and later Jatiyo Party) was successful in bringing down the mighty AL and its extreme left allies. Instrumental in this process was the rehabilitation and re-emergence of the once detested religious right organisations as a legitimate political force in post-75 Bangladesh. Based on the adage that the foe of my foe is my ally, BNP (and even AL, for a brief period) found alliance with the religious right necessary and politically rewarding in the late 1980s. Following the 1991 election, BNP became increasingly entrenched in their marriage of convenience with the religious right as AL won the 1996 contest and started to re-engage with the extreme left parties, the latter also on the hunt for achieving long-term political goals following the fall of the Soviet socialist block and the liberalisation campaign of China. Over the next two election cycles, the parallel alliances would become formal and make the political landscape more polarised, antagonistic and outright lethal (at the street level), and render both BNP and AL hostages to their respective extremist partners. AL won a landslide in 2009, mainly due to the election promise of bringing the war criminals of 1971 to justice. With the miraculous pace of economic growth since BNP’s re-navigation in 1975 toward private enterprise and development partnership with the West and the rich Muslim-dominated nations, the nation was more affluent than ever since liberation. Meantime, the post-liberation generations of Bangladeshis had reached voting age without experiencing economic hardship, substantive threat to individual liberty, or misery of Soviet/China style “democracy” and state-controlled enterprises. The electorate of the new millennium was ready and eager to dial back to a time it had never known, the time of the 1971 Liberation War. The born-again extreme left understood this undercurrent more than and well ahead of anyone else. By long-term strategic and short-term convenient alignment with AL, they have reaped and are continuing to harness political and governance dividends way beyond their negligible electorate base simply by leveraging upon AL’s priority of governance power over its historic centrist ideology. From disrupting the extremely rewarding and vital economic partnerships with the international development, trade and financial partners to the signing of arms and nuclear plant deals with Russia, and from using the judiciary and law enforcement more extensively as an extended arm of the government to efforts to gain greater state control of business enterprises, the writing has been on the wall for a while now. And therein lies the dilemma for AL. But graver is the stake for the nation as the risk is greater than ever of effective control of governance being lost by the centrist AL forces with the right of centre BNP already marginalised by the 2/13 Projonmo Movement. The only time AL had usurped the freedom of political expression by legislation was the unfortunate Baksal attempt at the height of Soviet socialist influence. Raising rightful demand for due justice for the war crimes of 1971 is how the 2/13 Projonmo Movement garnered the solidarity and imagination of the entire nation. But how the demands of the movement have evolved and literally forced AL to seek legislative ban on religion-based political parties is eerily reminiscent of that long-ago post-liberation dynamics that resulted in tragic and tumultuous events. 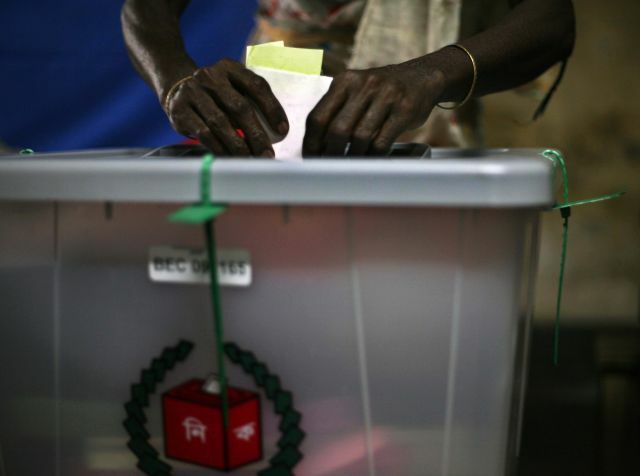 Unless AL wishes to lead the nation away from the ideals of Bangabandhu and the Liberation War, and into single-party “democracy” and state-controlled enterprises, it is indeed time to re-assess its partnership with the extreme left. If it is okay to ban religion-based politics to protect secular governance, shouldn’t it also be okay to ban politics based on state control to protect multi-party democracy and private enterprise? Or perhaps, instead of banning, AL and the nation should look beyond the euphoria of the moment, and look back to the democratic ideal of unfettered liberty that led to the creation of the country and the policies and partnerships that led to the emergence of Bangladesh as a thriving secular democracy and an enviable economic engine.